This paper presents methods for estimating CB-MRAS model parameters such as K1(CB), K2(CB), K3(CB), Ti(CB), KLm, KTr by binary Genetic Algorithm (GA), real number GA, modify GA, and CucKoo Search Algorithm (CSA). The first part of the paper is the vector model of the induction motor and the CB-MRAS model for estimating parameters by the above algorithms; the second part is the detailed way to implement the algorithms; the third part is simulation and as a result of the simulation, the results show that it is possible to estimate the parameters of this model by the modify GA or CSA algorithm. 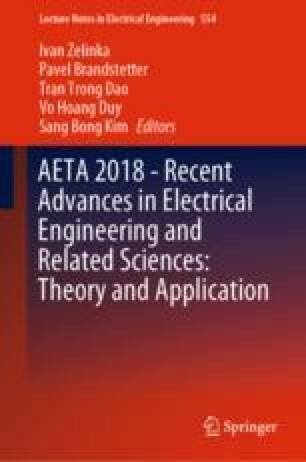 This paper was supported by the projects: Centre for Intelligent Drives and Advance Machine control (CIDAM) project, Reg. No. TE02000103 funded by the Technology Agency of the Czech Republic and Project Reg. No. SP2018/162 funded by the Student Grant Competition of VSB – Technical University of Ostrava.